Week 28: 2nd Trimester Recap – Where's The Tofu? Helloooooo 3rd trimester! Only twelve(ish) weeks to go! 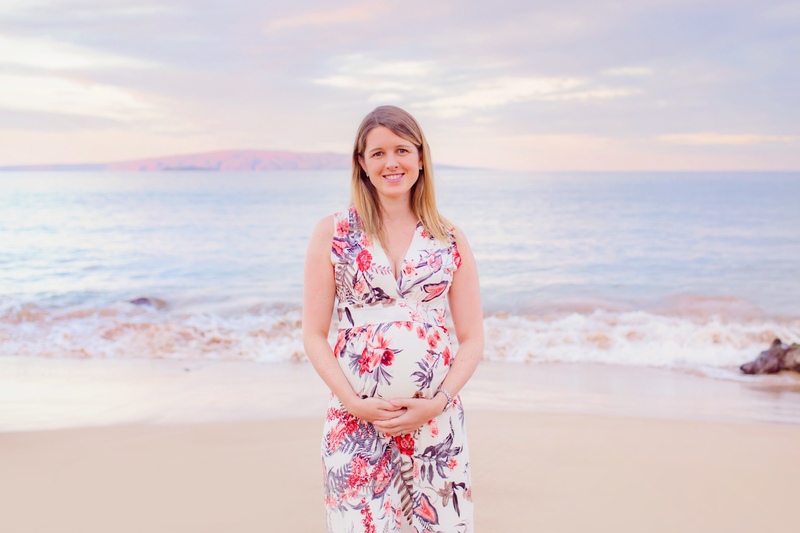 I wanted to take this opportunity to recap my pregnancy experience to date, especially the 2nd trimester, as a way to remember all of these precious moments and to answer the questions that I get frequently. Please let me know if you have advice for the 3rd trimester, or those first weeks with a newborn. I have so much to learn! Note: every pregnancy is different, every day is different, and every woman is different. This is my own personal experience and shouldn’t be viewed as advice or a recommendation. Frankly, I’m just taking things one day at a time, listening to my body, and learning as I go. 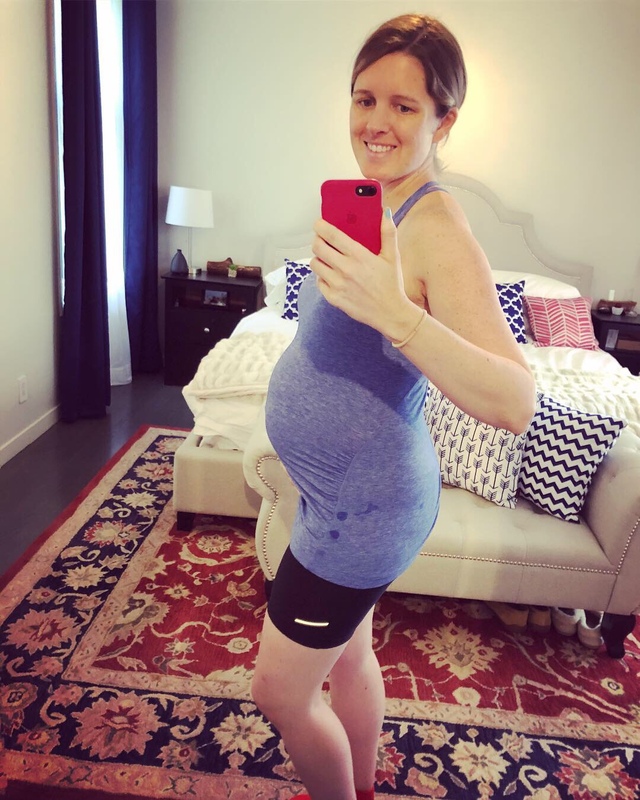 Staying fit during pregnancy (and anytime in life!) is so important and has been a big priority for me. My doctor advised that I can, and should, continue doing exercises that I was doing before pregnancy. Now, that doesn’t mean go train for an Ironman or go for a deadlift PR. But it does mean gentle swimming, biking, running, hiking, yoga, strength training, walking; all of the activities that I love and keep my body and mind strong. 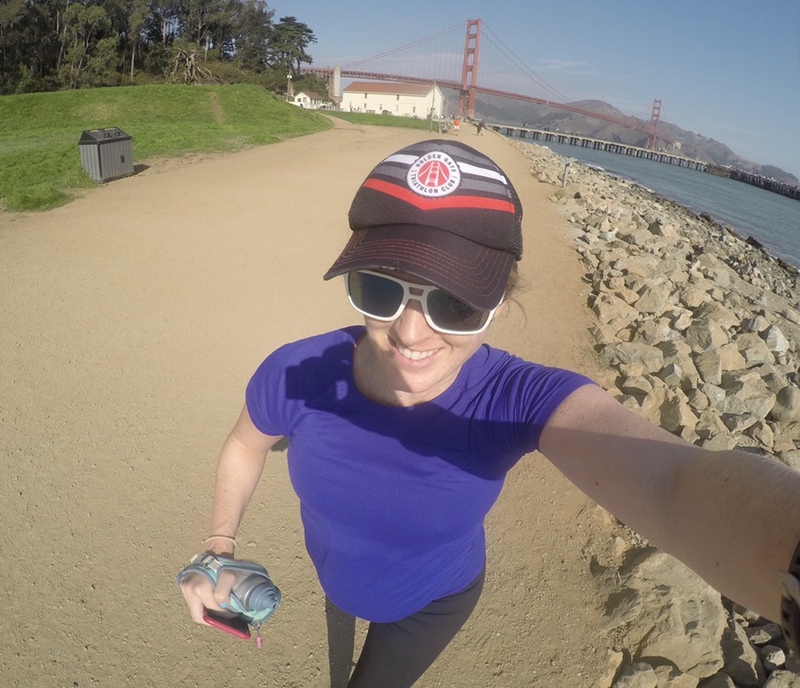 I’ve been keeping up with running because it energizes me, I’m the Run Director of the Golden Gate Triathlon Club this year, and it’s probably my favorite activity ever. I also love the Tone it Up pregnancy videos in their Studio Tone it Up app because I don’t have access to a gym on the weekends or when I work from home. That said, I find that I’m much more gentle and accepting of my workouts nowadays. There have been days where I’ve been exhausted and all I could muster is a walk in the neighborhood. Or other days when my calf muscle was so tight from nighttime charley horses that I could barely walk. Or days when my body wasn’t ready for a Vinyasa yoga class, so I hung out in child’s pose more than usual. And I have zero issue with any of this. I’m growing a freaking human which means I need to listen to my body, not my ego. Sunday Runday with my triathlon club! I do miss riding my bike outside because I feel so free and like a kid again. Plus, it’s a healthy and amazing social activity. But I’ve found that teaching/attending spin classes and leading/joining group runs satisfies my social need and that endorphin rush. I’ll be back on the bike in no time though! I’ve been vegetarian for ~22 years and vegan for nearly 10 years. I was a little nervous to tell my doctor out of fear of her judgment or her response. Would she tell me to start eating dairy and eggs again? Ugh. But turns out she was incredibly cool about it! She basically giggled and said, “don’t worry, you’re not my first vegan!” She then walked me through the types of vitamins and minerals I should focus on, and how to find them in foods or supplements. I also received a ton of nutrition advice from our doulas. And I’ve been getting regular blood work done along the way to make sure I’m healthy and on track. So far so good! I’d say Iron is the hardest one to get, so I’ve been much more conscious of getting enough in my diet, and also adding an extra supplement. There are a bunch of foods that are off-limits for pregnancy. But most of them are dairy, meat, fish, and egg-related. And I already gave up all caffeine a few years ago. So, the only big change in my diet was alcohol. I do miss my occasional pinot and hefeweizen, but I’ve found some great mocktails at bars and restaurants. The general advice for a pregnant woman with a healthy BMI is to gain 25-35 pounds during pregnancy. As a vegan athlete, this hasn’t been easy, but so far I’m up 15 pounds thanks to extra peanut butter in my oatmeal, more Larabars throughout the day, and a scoop of vegan ice cream at night. 🙂 I’ve been gaining roughly a pound per week since Week 12 (you don’t really gain weight in the first trimester). On track! I haven’t had any weird cravings except that I love certain fruit like pineapple and watermelon these days. 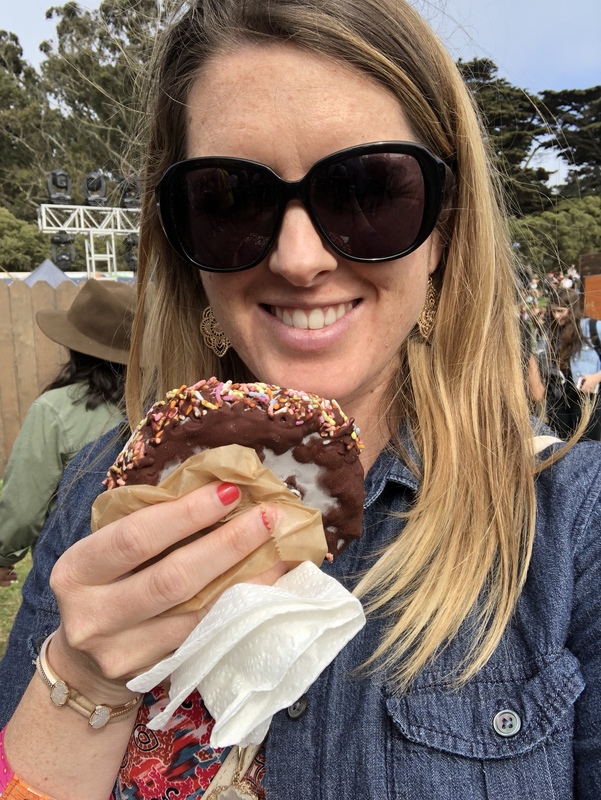 No pickles in my ice cream, no midnight pantry raids, and definitely no cravings for meat (which is common in pregnancy). I’ve just been eating my normal, healthy, and well-balanced diet with tons of fruit, veggies, oats, nuts, seeds, whole grains, etc. with the occasional indulgence. I work in Finance for a large, public, videogame company in the Bay Area. Luckily, I’ve been energized and feeling great throughout my pregnancy, so showing up and working hard hasn’t been an issue. I do try to take walk breaks throughout the day, and I almost always start my day with a workout and healthy breakfast. My manager has been incredibly supportive, too. He lets me work from home when I have prenatal appointments or blood work, and has been working with me on a maternity leave plan. 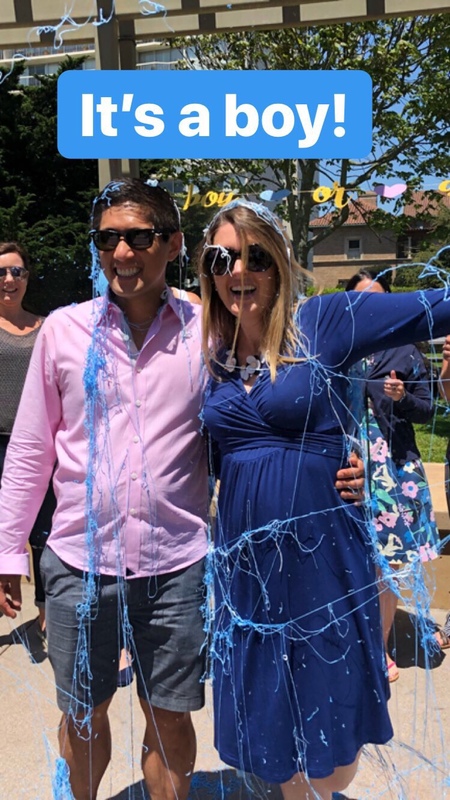 I’m incredibly grateful to work at a company that has great maternity benefits, an onsite daycare, supportive leaders, and a women’s group for extra support. Feeling the baby practice karate in my tummy. Love!! Dedicated parking space at work! More dental cleanings covered by insurance! Letting my belly hang out! Obviously there are some not-so-fun parts, but I like to remind myself of the great aspects. Let me know if you have any questions or feedback on anything. And again, would love any advice you have for the upcoming trimester. My goal is to stay fit, energized and healthy throughout labor and beyond. Thanks!